2SaveEnergy® is a new, practical and economical solution for energy-efficient growers. F-CLEAN film. In between there is a cavity that can be ventilated. The high insulation value of the covering is largely thanks to the cavity (5cm) between the glass and the F CLEAN® film. This special diffuse film is very durable and maintains its anti-condensation properties for at least ten years. 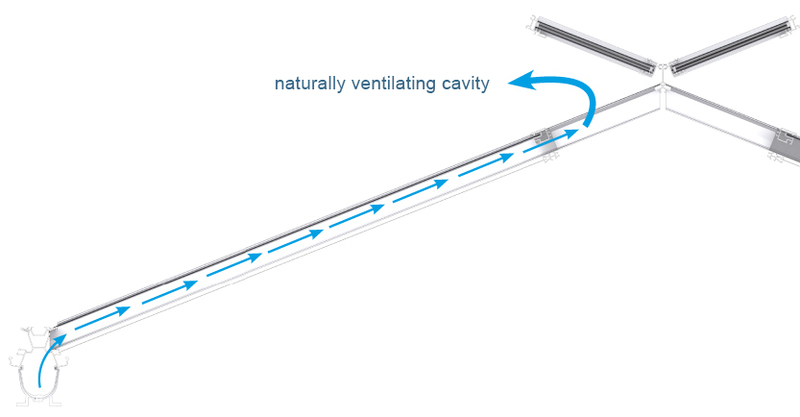 openings to the cavity and small ventilators can be connected to them. WUR Glastuinbouw has investigated and calculated numerous aspects of this revolutionary greenhouse covering. This research found that it was possible to achieve hemispherical transmission of 80.7% and vertical transmission of more than 90.6% for a glass/film combination, which is comparable with a standard covering.